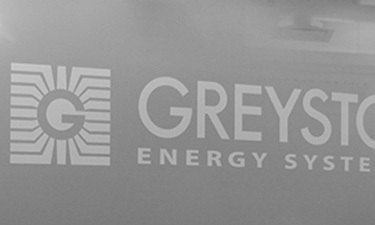 What information does Greystone Energy Systems Inc. collect? In general, you can visit Greystone Energy Systems Inc. on the Web to access information while remaining anonymous and not revealing any personal information. There are times, however, that we will ask you to provide certain information (such as your name and address) so that we may understand you better and make you aware of any new products that you might be interested in. Our Web server may also collect the domain names, but not the e-mail addresses, of visitors to our Web site. We use information to monitor and assist us in improving the content on our Web site. How will Greystone Energy Systems Inc. protect your personal information? Forms you fill out to interact with our company may request that you give us sensitive information such as your e-mail address, mailing address, telephone number. Whenever that is the case, Greystone Energy Systems Inc. will only use this information for direct business purposes. Note that our Web site contains links to other non-Greystone Energy Systems Inc. Web sites. Although we try to link only to Web sites that share our concern for customer information privacy, we are not responsible for their content or their privacy practices. You can help us to maintain the accuracy of your information by notifying Greystone Energy Systems Inc. of any change to your mailing address, phone number or e-mail address.